Beyoncé officially is the most awarded female in Grammy history earning her 19th Grammy and surpassing Aretha Franklin. 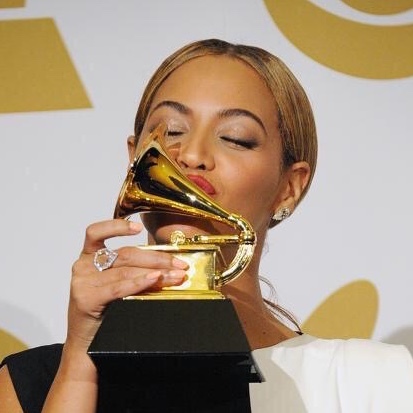 Tonight at the 57th Annual Grammy Awards, Queen B won awards in both categories Best Surround Sound Album for her album ‘Beyonce‘ and Best R&B Song for her hit song ‘Drunk In Love‘ with hubby Jay Z. The awards were announced in a premiere Grammy ceremony that aired earlier in the day. Beyoncé is still awaiting to hear on who will be awarded ‘Artist of the Year’. Bey is up against some tough competition, Ed Sheeran and Sam Smith are among a few nominated against her.